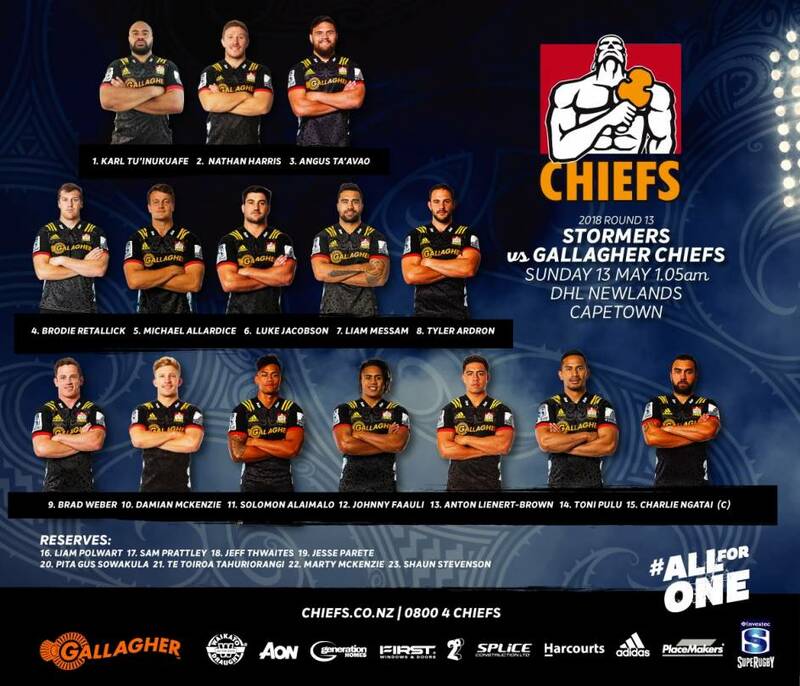 The Gallagher Chiefs are fired up to face the Stormers in Cape Town this week after a hard fought loss to the in-form Jaguares in Rotorua last week. It is always an intriguing battle in Cape Town - the teams last met in the Quarter Final of last year’s competition, where the away side were victorious 17-11. Colin Cooper is taking the learnings from the Jaguares game and is excited with the focus the team has shown. Sam Cane is rested at home with an abdominal strain but Head Coach Colin Cooper is pleased for the opportunity it presents others. In the forwards, Cooper has brought All Blacks Nathan Harris and Brodie Retallick back into the starting line-up, moving Tyler Ardron from lock into the number 8 jersey. In the backline, both Brad Weber and Anton Lienert-Brown will start in their 50th games for the Gallagher Chiefs. Johnny Faauli returns to the side, and the exciting Shaun Stevenson comes back from an injury sustained against the Blues in the second round. The game kicks off at 1:05am this Sunday morning (NZT).